No, no, no I will not posting about our process each and every week but I figure talking about the first week (teacher orientation) with our new Macs, the questions I received, the frustrations and joy I observed and how all this matched up to the idea in my head and reflections I have on this week (and there are many). So click on past the break, sit back and take this short trip with me. As always, comments are greatly welcomed. Before this year our teachers were provided with a Windows laptop and I would say that it served most teachers well. There were a few clunkers in the bunch and while the performance certainly wouldn’t be that great if you were saying playing the latest version of Crysis, but it could handle, email, Word, Internet browsing and the occasional DVD. In other words it worked, but it’s slow performance was not welcomed and caused a bit of frustration throughout the building. 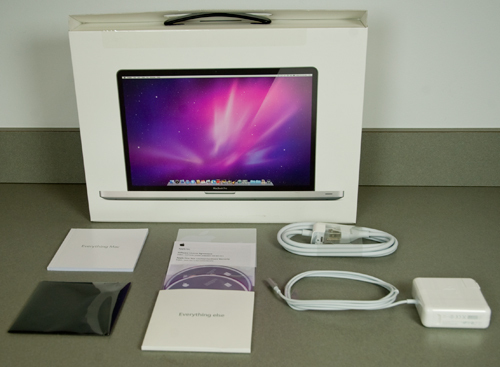 When the official word came out that we were getting brand new Macs, well more than a few people were pretty excited – myself included. Over the summer our IT director and his staff worked hard to make sure that everyone’s MacBook was ready to be dispersed by the time the staff return. Also our IT Director (Tony DePrato) made a number of training videos that showed people how to connect to the Internet using the proxy and other important facts. Needless to say when people came to pick them up there was excitement and this part went pretty well. In all of the Macs that were distributed (I’m guessing about 75-100) only one had a hardware problem that had to be returned. Consistency is a thing of beauty. Now give everyone on staff a Mac and take that knowledge of where everything is away and you are left with people searching for applications, documents and folders. Scratching their heads when windows or programs disappear. Think of it this way. Have you ever been driving around looking for a store but you only vaguely know where it is? There are directions but they for some reason you can’t see how they relate? Working with a new operating system on a computer can be a bit like that, but on a daily basis. Myself? I would want a baseball bat to bash something (not living or extremely valuable though – I’m not a monster people). Myself and the other Mac users at the school explain to the teachers that this change takes time, but that doesn’t really help elevate the frustration or numerous question. Unfortunately the only action these teachers really can do is be a bit courageous and spend more and more time with their new computer and operating system to get comfortable with it. There is no shortcut, there is no easier path. One must stick with it and I am confident that by the end of October many staff will at ease with their new machine. That’s not to say they are not intelligent or capable, it will just take time. The ironic thing here is that computers are supposed to save us time not the opposite. 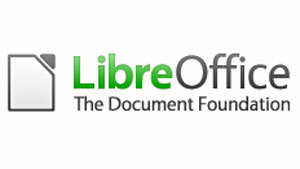 In an effort to cut down costs we are ditching Microsoft Office due to its licensing cost and are switching to LibreOffice which is open source and free. They are not equal, but the difference in price easily (in my mind) justifies the switch. Many people, however, are not very happy with the switch for a couple of reasons. One, when they open an old Word document sometimes the formatting can be off. Bullet points are changed, spacing can be a little different maybe the font changes, you get the point. Sometimes the document won’t open at all. It doesn’t seem to sound like too big of a deal but when you’re talking about years worth of documents, lesson plans, exemplars and resources it becomes another log on the “I hate this!” pile. Another problem with LibreOffice is that it is not as easy to use as Word. It has nearly every feature that Microsoft Word has but those features aren’t as easy to locate. Some features are up front and center (font, font size, alignment, etc.) but others may be buried in the menus at the top. One teacher was trying to change the spacing of a document and had been searching for a good 15 minutes (or longer) before she found it. This makes typing letters, lessons, tests, etc. a much longer process. Taking something that would take 15-30 minutes for a person to do and stretch it to an hour is bound to make anyone a little cranky. I should know, I’ve been there. Finally, there is the unknown. This worries most people. The anxiety of what it can do, how difficult it will be to use or learn and other practical examples. Such as, people are worried that if they make a document using LibreOffice they may not be able to share that document with another person outside of the school (say a parent or teacher from another school). It is a valid but mostly unnecessary point. That is not to diminish their anxiety but as I mentioned before, change takes time and this program is no different. Hopefully people give it a fighting chance before shelling out $100 (or more) for a version of Microsoft Office. The week was spent with a lot of questions and frustrations, and though those questions were a bit more than I was expecting I still feel it was a good week. I believe as long as people are helping each other (this staff excels at that) then I feel that those questions, anxious feelings, frustrations will ebb. As I tell everyone, this takes time, and I must also tell myself too. Sometimes I get a question that has an answer that is readily available and I think they should know. I start to get frustrated, but then I remind myself this takes time and I remember the frustrations I had when I switched from PC to Apple. OK, now I get it . . . let’s have that next question please. In short the next few months will be bumpy, but I believe it will be for the best. Stay tuned to when we are working with students. This entry was posted in Opinion, Patrick Cauley and tagged 1:1, first week, laptop initiative, macbook pro, one-to-one. Bookmark the permalink.